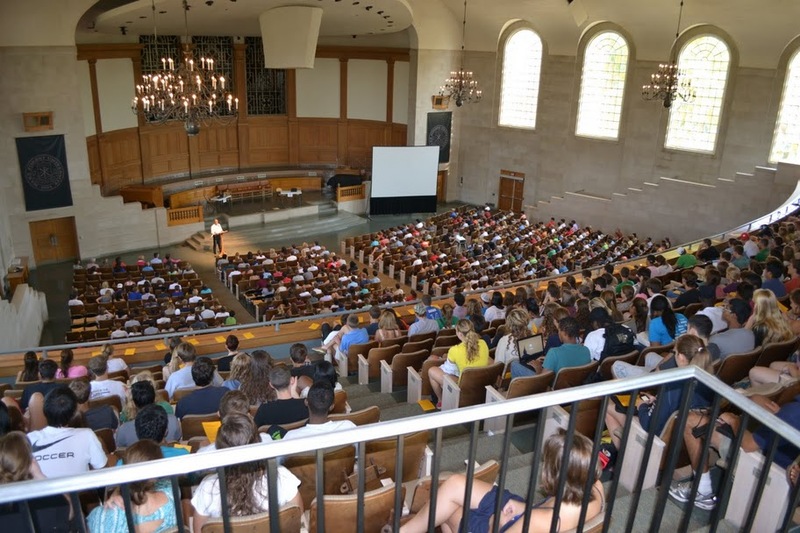 On Tuesday, all 1,200 first year students attended an orientation session in Wait Chapel entitled “From College to Career.” It was sponsored by the Office of Personal and Career Development. The students spent an hour with Vice President Andy Chan and his staff to watch an in-depth performance detailing the many new career resources available to our students. This was a fun presentation. It included some skits and audience participation by way of students texting answers to questions, and we’d see a live feed of student responses to those questions. One of the main points of the session was to help first year students understand that even though they just started their college career, they are already on the path to life after college – so the earlier the students think about Big Things like “what do I enjoy? what motivates me? where are my talents and skills? what type of activities do I love/hate?” the better prepared they will be to make sound choices for life after Wake Forest. The presenters talked about using a simple T-chart so that students could track their likes and dislikes and give them some formalized way to catalog their experiences; see the T chart. On the reverse of the T-chart were tips from the OPCD. Students were encouraged to visit the career and professional development website and to note the recommended activities for first year students. 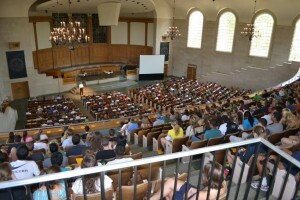 The biggest collective cheer from the group came when Andy Chan told the students that there would be a contest to win a free Chipotle meal for the first three residence hall floors that all complete their registration for Deacon Source, the OPCD’s online tool to help keep students informed. So parents, check in with your students and make sure they registered and help them win the free food prize!